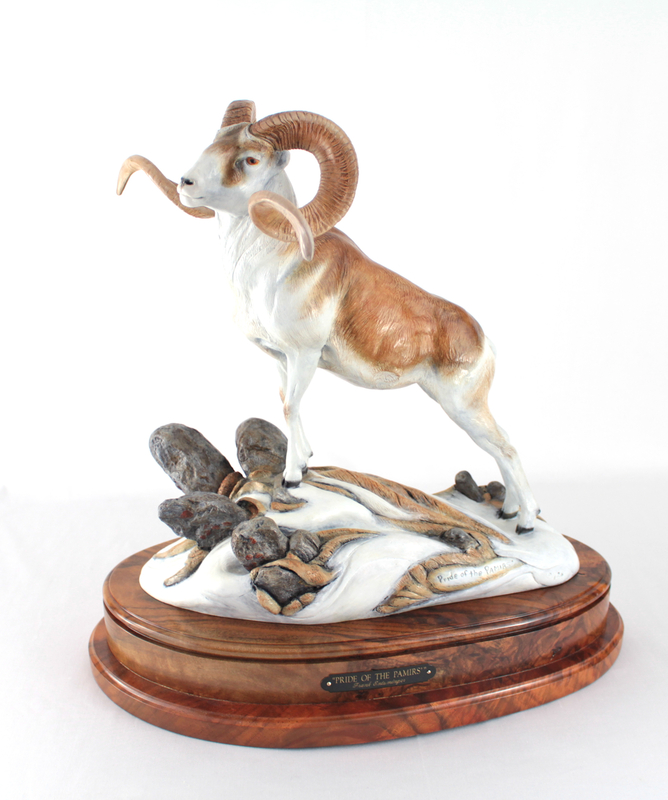 “Pride of the Pamirs” depicts a Marco Polo Ram [Ovis ammon poli] of Central Asia, the Asian counterpart for our Dall or Stone sheep in North America. Of the Argalis in Asia, the Marco Polo is thin horned, but with tremendous horn length into the high 60’s and even low 70’s. 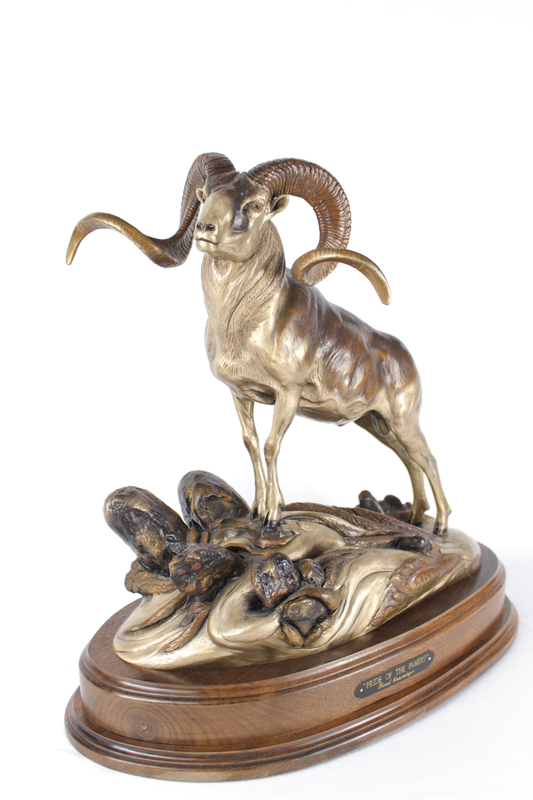 Hunters consider the Marco Polo the “Holy Grail” of wild sheep. The Pamirs are a Mountain Range where these big beautiful sheep live at extremely high elevations sometimes exceeding 16,000 feet above sea level. 2000, Frank & his wife, Sue, hunted these magnificent animals on their 25th Wedding Anniversary year where Sue had the opportunity to take a beautiful ram. Then 2 years later, Frank had to return to take one himself. 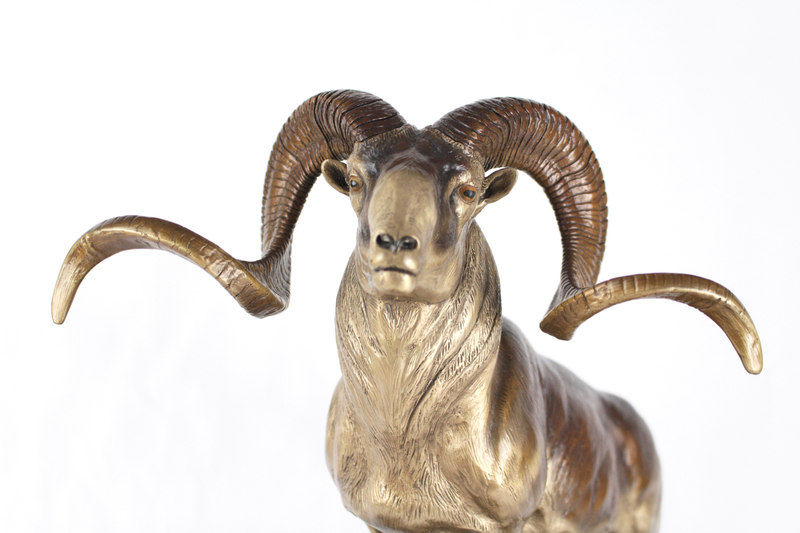 The incredible opportunity inspired Frank to sculpt this magnificent animal for a bronze piece. 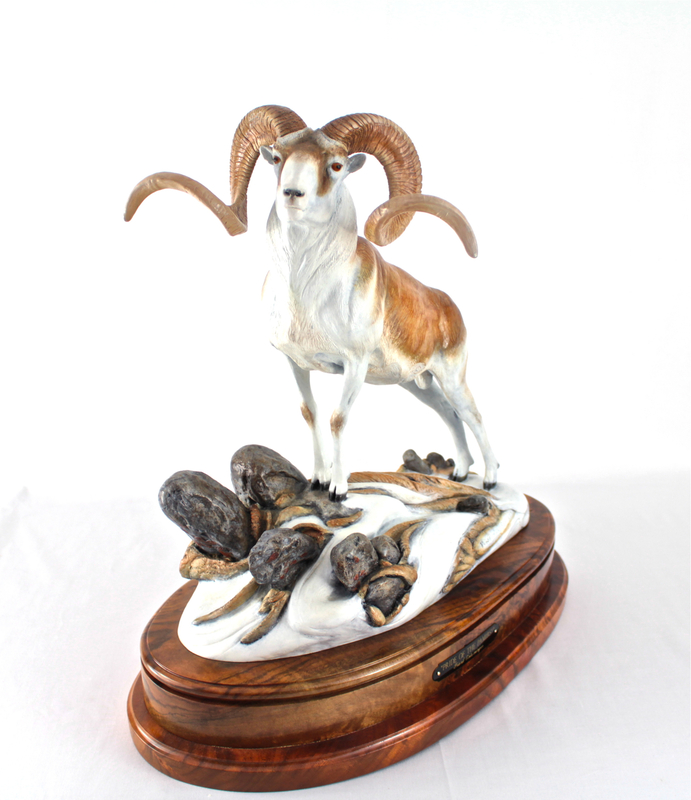 This makes for the title of his piece, “Pride of the Pamirs.” Adult rams weigh 300-350 pounds about the size of an average adult bull caribou. Words can hardly describe these beautiful sheep. 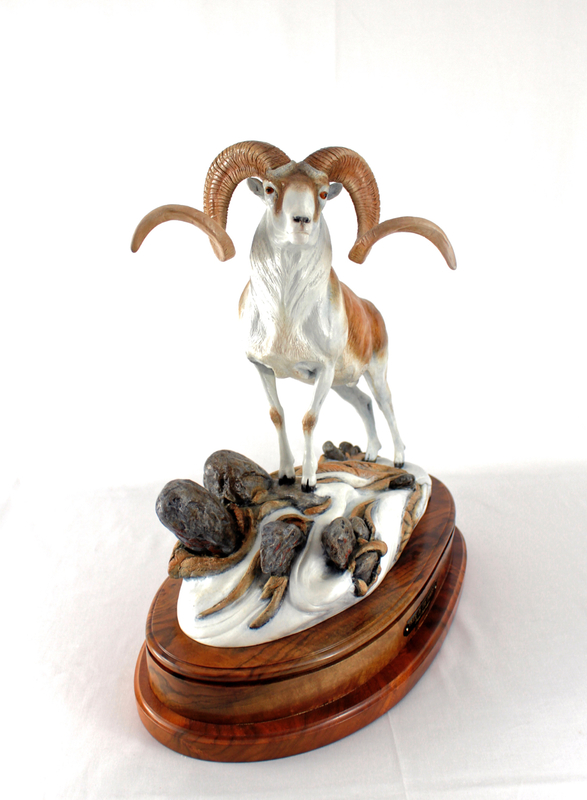 After two trips to the Pamirs, Frank wanted to convey their beauty through this sculpture. 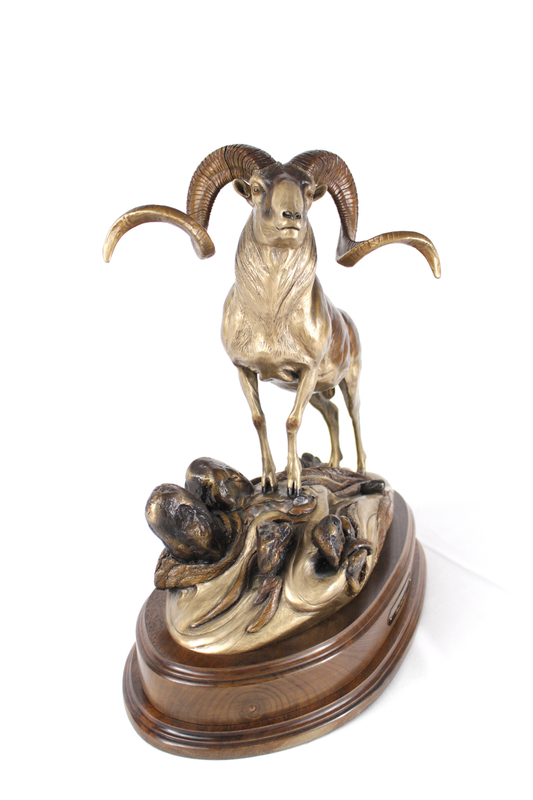 “Pride of the Pamirs” is an original bronze that can be colored in the colored patina of the Marco Polo or the traditional earth tones.